A host of small FMCG brands are set to challenge the biggies with new-age innovations. Will they succeed? There isn't a single day when fashion designing student Alina Mehta does not coordinate her outfit with matching nail paint. The 18-year-old has a collection of over 100 nail paints, including Lakme, L'OrÃ©al and Maybelline, besides many unheard-off online brands. One of her favourites is Stay Quirky, which offers her over 500 shades to choose from. "They have shades such as fluorescent orange and paints with glitters that none of the big brands offer," says Mehta, displaying her freshly painted fluorescent orange nails, which perfectly matches her bright orange outfit. Mehta's best riend Anaya Raj, not just buys nail paints but shops for her entire beauty needs online. Her favourite skincare brand is neither Garnier nor Olay, but online brand Plum Goodness. Raj, who has recently bought a four-in-one face care set of Plum Goodness, which consists of an aloe vera face wash and moisturiser, grape seed night cream and face mask, says that they are perfect for her dry and sensitive skin. Her favourite hair care brand, again, is neither Pantene or Sunsilk, but Hair For Sure, which, she claims, is an effective solution for hair fall. No wonder FMCG stalwarts, such as Hindustan Unilever, P&G or Colgate, are struggling with low volume growth. It is not just that the Rs5,000-crore Patanjali Ayurveda has challenged their supremacy with disruptive products, or the turbulent state of the economy has been giving them sleepless nights, they are also having to worry about the myriad new-age brands that are fast gearing up to challenge them in the Rs20.53 lakh crore FMCG industry, out of which personal care and beauty is a Rs74,700 crore market. Patanjali Ayurveda, which has a 1.2 per cent in the beauty and personal care market, broke the decades-old belief that consumers of Colgate Dental Cream were the most loyal bunch - the Danti Kanti Dental Cream, in fact, forced Colgate to come up with 12-13 variants in a span of just two-three years. In fact, Patanjali, already has 2 per cent market share in the Rs4,000 crore oral care market in India in just three years. Colgate, which has 55 per cent market share of oral care, has lost over 1 per cent. 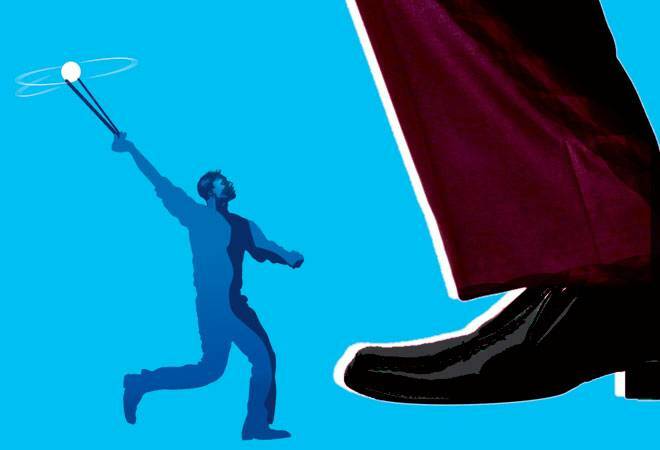 The other big disruptor has been the Rs700-crore Vini Cosmetics, whose deodorant brand, Fogg, has emerged as the market leader in the Rs3,000-crore deodorant market with 20 per cent share, displacing HUL's Axe. These new-age start-ups are also toeing Patanjali by launching disruptive and innovative products. While the most popular dandruff treatment solution for consumers in India are anti-dandruff shampoos, Ahmedabad-based Athena Lifesciences has introduced an overnight dandruff lotion called DFree, which not only promises to cure dandruff, but also comes with a claim to prevent re-occurrence. 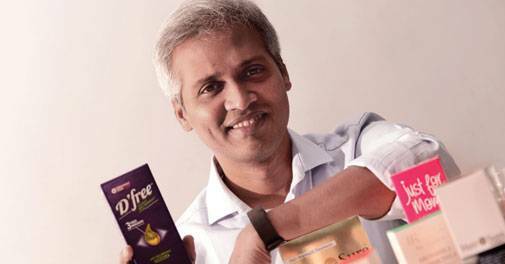 "Shampoos never took care of dandruff, so we came up with an overnight lotion," says Prabhu Karthikeyan, MD and CEO of the three-year-old, Athena Life Sciences. D'Free, which is mostly retailed out of modern retail stores and online platforms, such as Purplle.com and Amazon, is already a sizeable brand within a year of its launch. "New-age FMCG brands constitute almost 15 per cent of our overall sales. 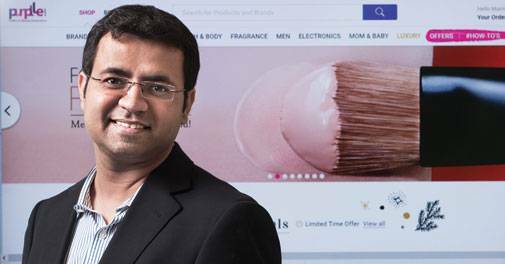 In fact, in categories such as colour cosmetics the share goes up to 20 per cent," says Manish Taneja, CEO, Purplle.com. Chennai-based Syona Cosmetics is trying to disrupt the Rs100-crore salon products market dominated by the likes of L'OrÃ©al and Schwarzkopf by becoming the only brand that caters to hair, skin and body. Most existing salon brands, says Raja Varatharaju, Founder, Syona, are operating in the hair care segment. "We are looking at becoming a one-stop option for salons." The Rs9-crore company, which aspires to have a turnover of Rs300 crore-Rs400 crore in the next three-four years, is also going to launch a premium retail brand, Nutribios, which will have natural soaps, massage bars and so on. Unlike Patanjali and Vini, which play in the mass FMCG space, most of these new-age brands operate in the masstige to premium segment. While Patanjali's preferred retail platform is its six million brick and mortar retail outlets across the country, and its 1,000-odd chikitsalyas, most new brands prefer the e-commerce route. While one would imagine that these new brands would be cheaper than the established ones especially since they are available online, they are actually not. A 100-ml bottle of D'Free for instance costs Rs200. Similarly, while a LakmÃ© lipstick costs Rs350-Rs400 and a L'OrÃ©al or Maybelline is priced at Rs600-700, a Sugar lipstick is priced at Rs800. Similarly, an 8-ml bottle of Stay Quirky nail paint with glitters or multiple effects can be as expensive as Rs350. "We play our game on the back of innovative products that are not available in the market. If we play the pricing game, we will be wiped out," says Varatha-raju of Syona. "My motivation is not about toppling LakmÃ© or Maybelline by replicating their products and selling at a lower price. The idea is to give consumers what they are not giving," adds Pratik Sonthalia, Founder, Stay Quirky. Similarly, Amit Sarda, CEO of premium natural products brand, Soulflower, claims that his hair oils occupy the top 20 per cent market share on most e-commerce platforms, despite being retailed at an over 20 per cent premium. "We are constantly listening to consumers and are trying to offer solutions as per their needs. Since we do not have deep pockets to advertise, we are trying to be loyal to the customers by being part of their beauty journey." While a product roll out from the Unilever or P&G stable takes one to two years, the innovation cycle of new-age companies are much faster. For instance, while Athena has built a portfolio of five categories with multiple stock keeping units (SKUs) in three years, Plum Goodness has over 29 SKUs. The FMCG biggies are definitely losing out in terms of the pace of innovation and it is definitely one of the reasons for their lacklustre growth. In fact, the number of new product launches in the past two years has dropped by over 50 per cent and overall consumption has also fallen, points out Govind Shrikhande, CEO, Shoppers Stop. "Entrenched brands are sitting ducks and they need to think differently to bring in consumer loyalty. Consumers are no longer driven by cost but by value. If marketers are hesitating to put that extra zip lock in their packaging just to save Rs1, it is a bad idea," says Alpana Parida, MD, DY Works, a marketing consultancy. When an FMCG major looks at an innovation, the foremost criteria is scalability. It has to cater to a larger customer base. "The innovation has to meet a revenue and profit benchmark. If it does not have the potential to be a $200 million-$300 million brand in two-three years, it will not even enter the category," explains S. Raghunandan, former CEO, Jyothy Laboratories. No wonder, newcomers with faster innovation cycles are beginning to capture the consumer mindspace and, e-commerce as a cheap retail platform, is enabling a huge number of start-ups to experiment with new offerings. The question, however, is whether there is a mass market for so many SKUs. Even though the margins for most personal care categories are as high as 80 per cent, the challenge in a mass environment would be inventory management. "A make-up brand should typically have its own stores, but for a start-up it could be challenging as it involves huge costs," says Taneja of Purplle. The reason for Patanjali to become such a huge brand is undoubtedly its mass market approach. "One has to be a mass market brand to get scale and better volume growth," agrees Darshan Patel, Founder and CMD, Vini Cosmetics. In order to be in the mass market, Patel says that it is also imperative to be retailed out of the six million traditional retail stores. "Our approach has been to disrupt the mass market by doing something different in terms of product and belief. We got traction and consumers latched on to us." When the company launched its first product, Fogg Deodorant, in 2012, it played on the product proposition by telling consumers that it had no gas and was all about fragrance. Though many of these new-age companies aspire to be Rs200-crore brands in three years, they are wary about expanding through the traditional retail route. Therefore, the biggest advantage the entrenched companies have over the newcomers is their offline distribution might. "The mass category needs huge investments and risk-taking appetite. I like to take risks, but would rather take calculated risks. To me quality is more important than scale. Therefore, playing in the premium segment suits my working style better," says Shankar Prasad, CEO, Plum Goodness. Former Godrej Consumer managing director, A. Mahendran, who runs his own consumer product company, Global Consumer, is skeptical about the future of these new-age FMCG brands. "The challenge for these brands would be to get traffic to their site and their ability to deliver to the consumer, as supply chain requires huge capital. After a year or so when volume growth will become a challenge, no investor will have confidence on them, as the concept itself would have already failed." While companies such as Athena are already retailing through modern stores and have also started advertising on mass media, they do not wish to go beyond cosmetic stores and pharmacies. Chennai-based Syona and Mumbai-based Soulflower also plan to follow suit. "My target is to touch the lives of six crore Indians in the next six years. My product does not require to be retailed out of the traditional retail stores," says Sarda of Soulflower. Kamal Kumar Johari, MD and Founder, Nobel Hygiene, which entered the Rs5,000-crore baby diaper market in 2011, has already captured a 5 per cent share of the market dominated by the likes of Pampers and Mamy Poko. Johari wants to take it up to 10 per cent. "I don't aspire to be a market leader as that needs deep pockets. I am happy being a strong challenger brand." Johari has, however, ensured his brand is available at brick and mortar stores. Abhay Pandey, MD, Sequoia Capital, says as an investor, he would look at a business only if it has the capability to scale up into a Rs500-crore brand in four or five years. "If one wants to be a strong challenger, one has to have the capability of taking the biggies head on. To do that one has to play the masses." The private equity company invested in the Ahmedabad-based Vini Cosmetics in 2013, within a year of the company's launch. "The reason we invested in Vini was because it had products that fitted into the market needs. Moreover, its deodorant brand was already making a dent in a hugely fragmented market." Raghunandan says most new-age brands are playing in niche categories, be it natural products, premium products or categories where the large ones are not present at all, and that will make it difficult for them to scale up. "They will either remain small or become niche and profitable and later get acquired by a large Indian company." However, Taneja of Purplle is confident that if Internet sales in the next few years are 15-20 per cent of retail sales, these new brands will have the potential to scale up. "If Internet is small, then there is a challenge, as they will have to expand offline and offline distribution is not easy to crack." But the industry is optimistic that there will be outliers, such as Patanjali, which will eventually challenge the biggies. "Most will be happy being niche, some may close shop, but I am quite sure that the next wave of global MNCs will come from Indian start-ups," says Parida.